For Frequently Asked Questions Specific to a particular date (such as Parking information, hours and exhibitors) please check the corresponding Event Page. WILL ANY OF THE EVENTS BE CANCELLED IF THERE IS BAD WEATHER? 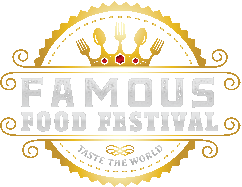 If you need assistance regarding vendor or festival questions fill out the contact form on the site or email at: vendors@famousfoodfestival.com and we will get back to you ASAP. Please fill out the form on the volunteers page and we will reach out to you asap! What types of food will be there? The concept is bringing the world’s best unique foods from all around for an unforgettable amazing food experience. 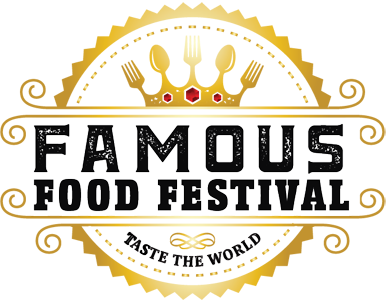 Food will be covering a wide range of categories and will cater the choices to have something available for everyone. DO YOU ALLOW CHILDREN AND PETS AT YOUR EVENTS? All ages are welcome, however unfortunately our furry friends aren’t allowed. Yes, there will be port-a-johns on site. What types of concessions are for sale? To see a list of vendors attending, please click on the Vendors Page. It is updated weekly. How can I become a partner of this event or host one in my city? Will there be recycling available? Recycling bins will be readily available throughout the Famous Food Festival for your convenience. Please deposit recyclables in the designated bins. I HAVE A DIETARY RESTRICTION, WHAT SHOULD I DO? Please inform the merchant of any allergies or dietary restrictions you may have before purchasing or consuming any goods.